As the new company figurehead for a new decade, Aston Martin’s Valkyrie hypercar is quite a spokesperson. Its 6.5L naturally-aspirated V12 is classically devastating, but the model employs an electric motor to quicken launch and acceleration. And it is, as Aston tells us, as close to an F1 road car as it is possible to come by. Recently revealed options include 24K gold trim, though; gilding the F1 lily, as it were. Well, maybe not a lily. The Valkyrie looks like a sculptural representation of a thrill-seeker’s dream car, a new chapter in Aston’s mythos that takes its name from the battlefield Fates of Norse mythology. And the company text indicates as much; where sportscars are concerned, the ‘Gods’ choose Valkyrie ownership. 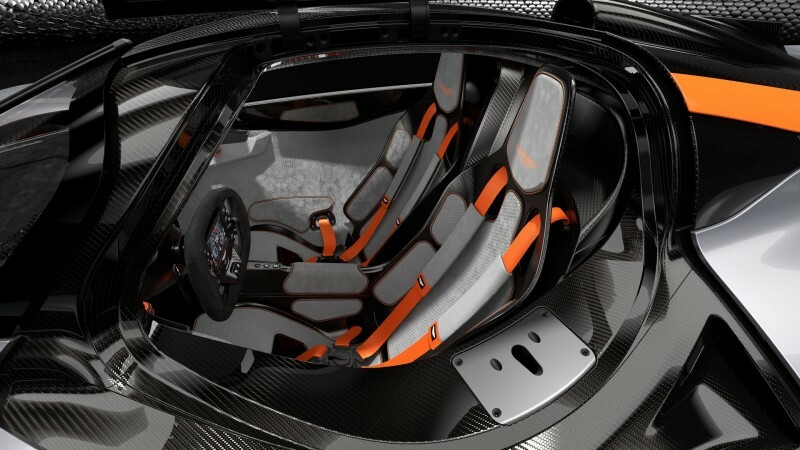 There’s no steel in the Valkyrie; carbon fiber is used instead. The use of the lightweight, super-stiff material is augmented by the ‘open underfloor’ design; Valkyrie’s power-to-weight ratio is an astounding 1:1. The car’s emphatic downforce—necessary with such a ratio—is provided by a wildly uber-engineered active aero and suspension system. The car is the product of a meeting of the minds; Red Bull Racing and Cosworth contributed. The engine is specially designed by Cosworth, and pumps out 1,000 HP and 740 Nm. The car is outfitted with a seven-speed sequential gearbox. 0-62 time is listed as below 3 seconds; exact time presumably depends on whether or not one springs for the ‘Track Pack’ as they spec out their $3 million hypercar during the buying process. Aston has earmarked just 150 examples for production. All 2019 deliveries are spoken for, though.